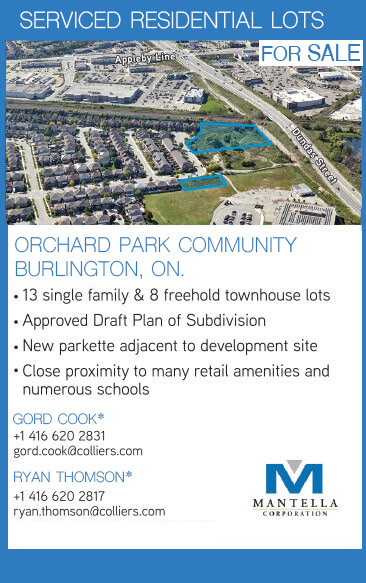 Working in consultation with Halton District School Board, the City of Burlington, Region of Halton and local residence Mantella Corporation has coordinated the design and submission of a Zoning By-law Amendment and Draft Plan of Subdivision for lands within The Orchard community. Mantella Corporation has put forth a design which contemplates 10 single-detached homes and 8 street-related townhomes fitting within the context of an already existing residential subdivision. 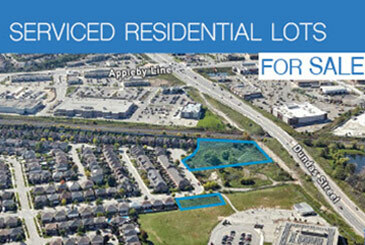 This project is ongoing, with Draft Plan Approval and Zoning By-law Amendment Approval anticipated for late spring 2018.